Anti-poverty activists gather at the Olympic Countdown Clock on the Vancouver Art Gallery grounds to help kick off the 2010 Poverty Olympics Torch Relay. The torch will visit communities throughout British Columbia in an effort to raise public awareness around poverty-related issues in the province. 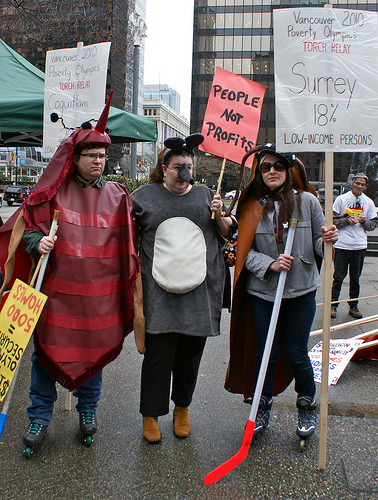 The 2010 Poverty Olympics will be held on February 7th in Vancouver’s Downtown Eastside.